Brandon Clifford has been selected as a 2019 TED Fellow. 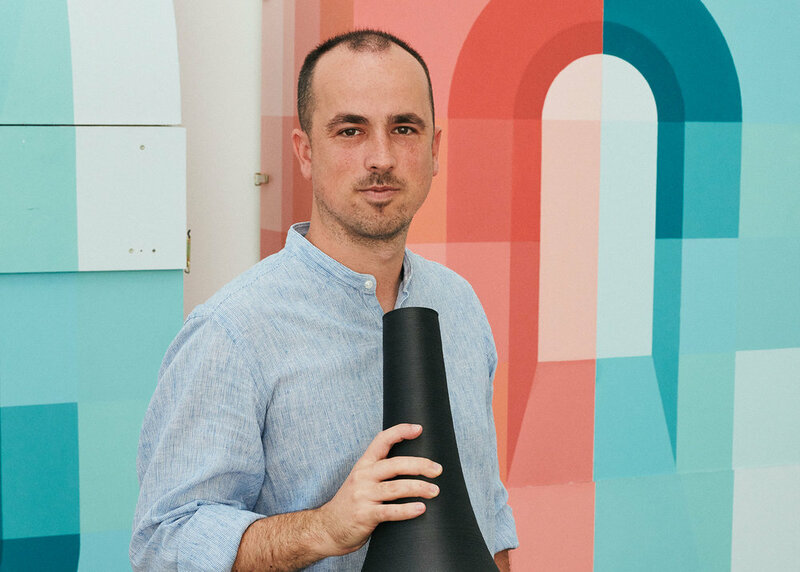 Joining an incredible group of inspiring individuals, he will be sharing research on a new way to think about ancient design at TED in Vancouver on April 15, 2019. 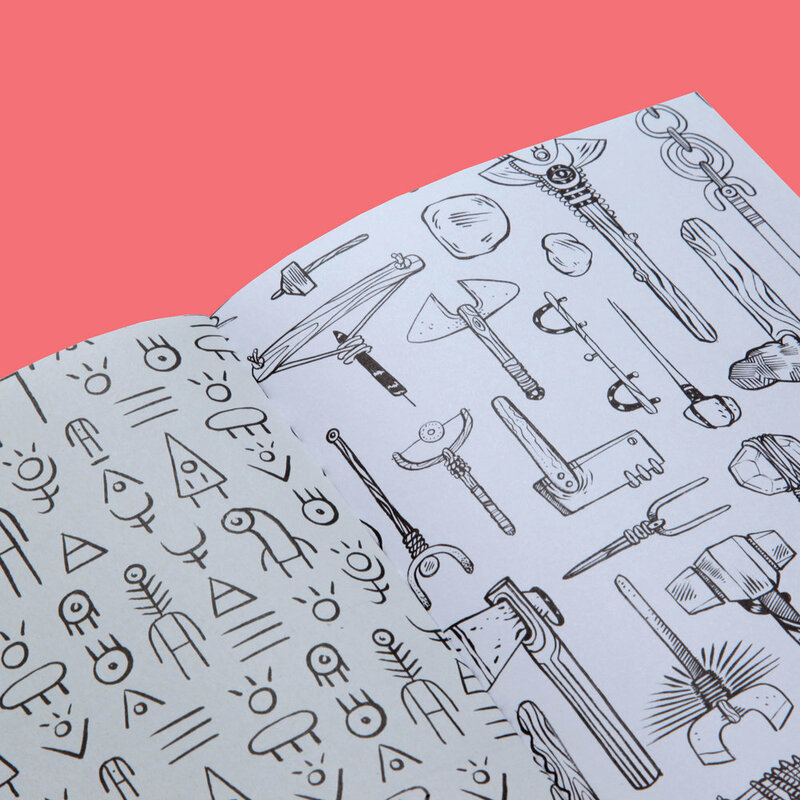 Only 50 copies of The Cannibal’s Cookbook remain. Get your copy while this limited edition last! We are excited to share the news that Matter Design is announced as a finalist in this year’s MoMA/PS1 Young Architects Program. Here is a link to an Archinect article. 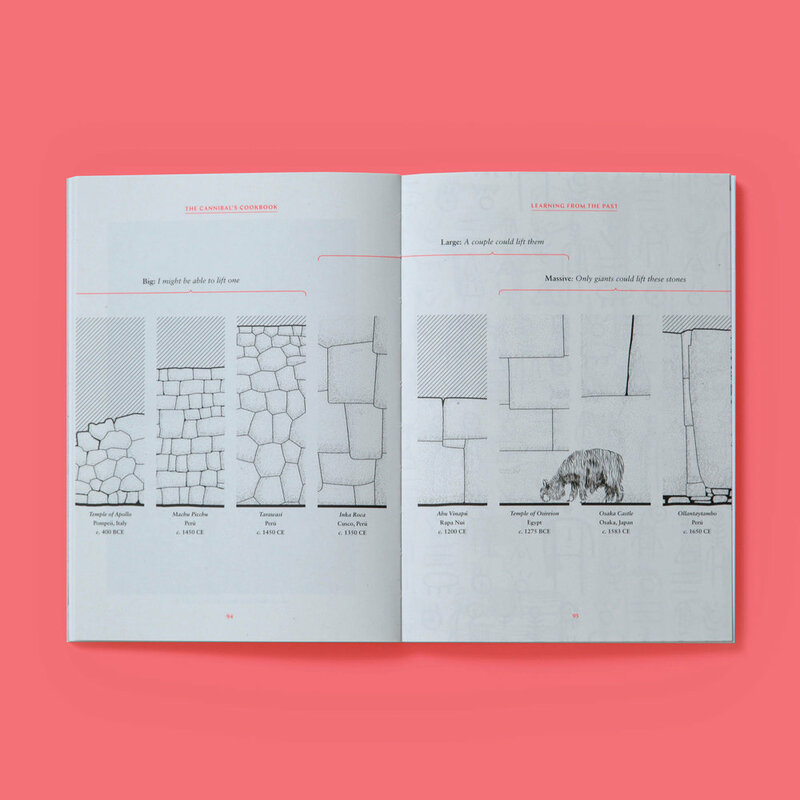 The Architect’s Newspaper has announced Cyclopean Cannibalism as a 2018 AN Best of Design Awards winner in the New Materials category. 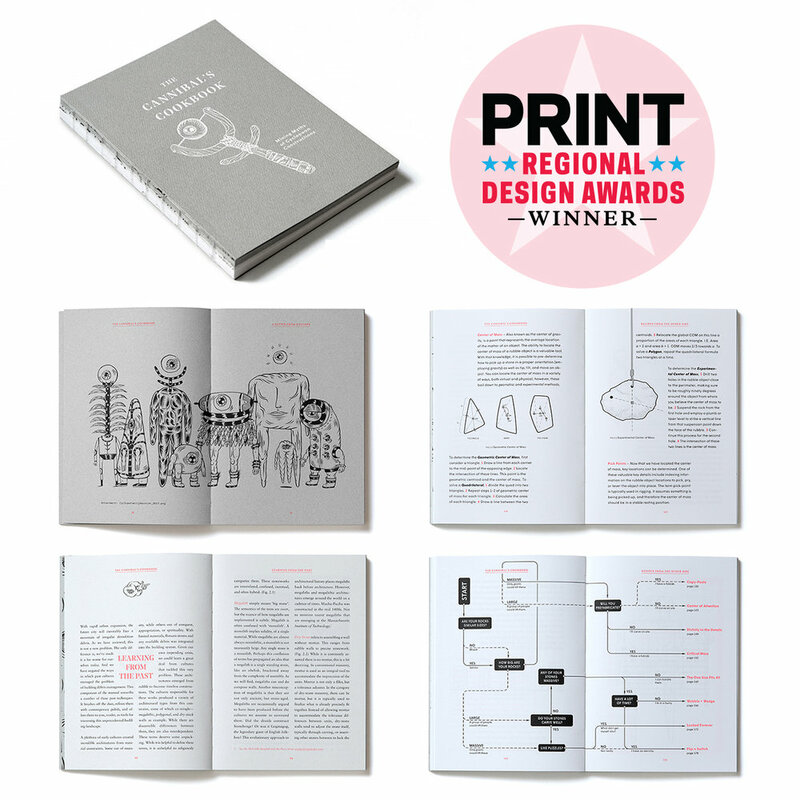 The Cannibal’s Cookbook, designed by Johanna Lobdell with artwork by Joshua Longo, was chosen as a winning design in the most recent PRINT Regional Design Awards. The project will be featured in the HOW + Print book The Best of Design scheduled to be released in Summer of 2019, as well as online at PRINTmag.com. 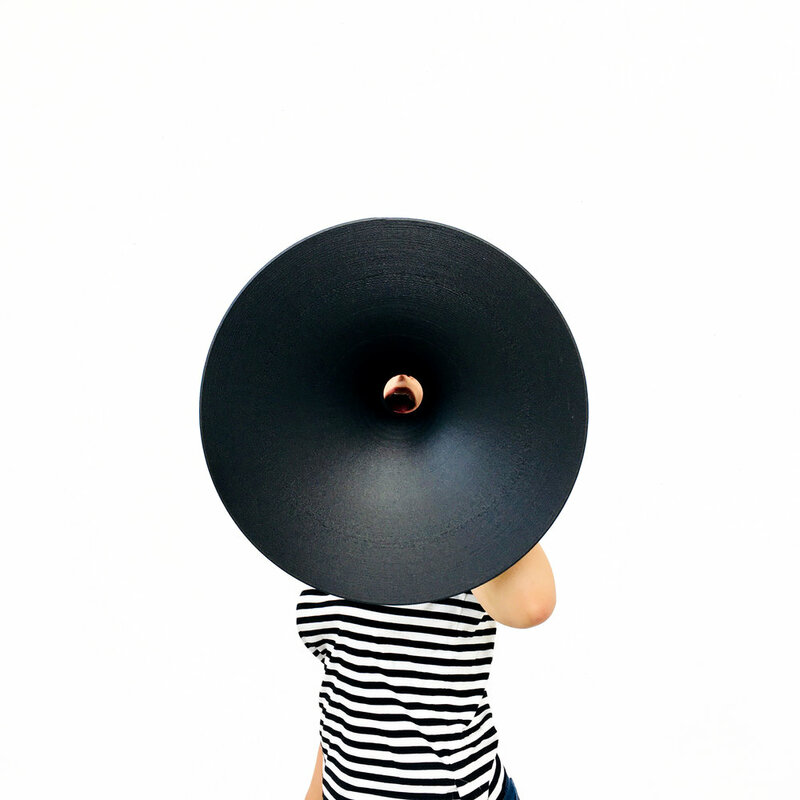 Our custom robotically printed megaphones are in Rome in preparation for this Thursday's performance of 'Filament' at the American Academy in Rome with composer Ashley Fure. Looking forward to sharing more developments soon! The Five Fields Play Structure is announced as winner of the 2018 AIA Small Projects Awards! The Cannibal's Cookbook has received a few excellent reviews recently. Check out below what some of them are saying. Brandon Clifford will be presenting 'Material Myths' at the Rhode Island School of Design European Honors Program on Tuesday, 13 February 2018 @ 6:30pm. Quarra Stone and Matter Design announce the fourth annual Quarra Matter Fellowship. This prestigious fellowship is a research position as part of an ongoing industry/academy collaborative research project between Quarra Stone and Matter Design on advancing digital agendas in the material stone. Two research fellows will work daily at Quarra Stone’s location in Madison Wisconsin for the duration of a 10-week research project in the summer of 2018. During the course of this fellowship, the researchers will work directly with the Quarra Stone team to develop and implement advanced fabrication processes. This research will culminate in a series of large-scale constructed artifacts carved and assembled of stone. 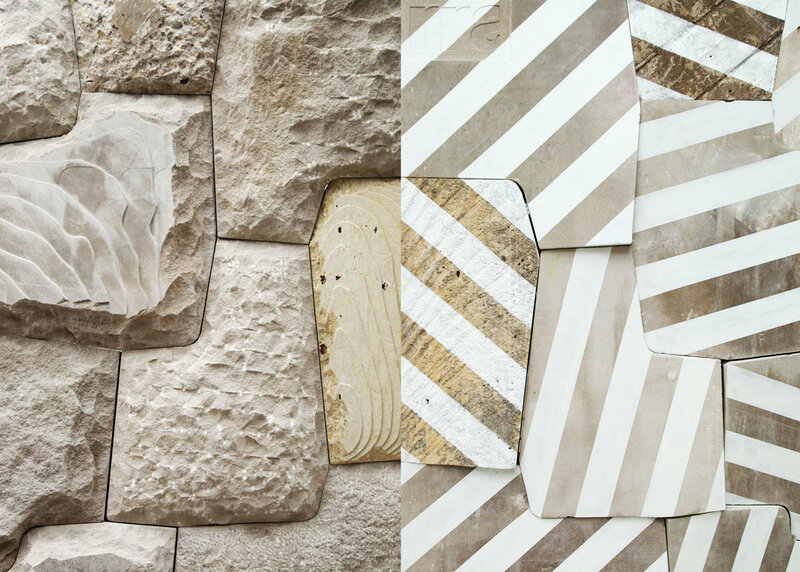 Fellows will work with and alongside the professional stone fabricators at Quarra Stone and are expected to report and communicate the research with their respective research coordinators—Brandon Clifford at MIT and Wes McGee at UM. Past fellowships include a cairn (see this video) by the 2015 fellows Dustin Brugmann and Luisel Zayas published in Acadia and TxA 2017, and a method for carving and casting metal details into a white marble shell structure by the 2016 fellows Inés Ariza and Shan Sutherland published in Fabricate 2017. The 2017 fellows Zain Karsan and Layth Mahdi, developed a study of post-tensioning and dry-stacked unitized masonry. This work is in progress and will be released soon. The intention of this research is to build processes that improve accuracy and reduce the gap between drawing and making. Quarra Stone has vast resources dedicated to complex carving of stone, and Matter Design has an interest in engaging this resource and shoring it with computational intelligence. Both parties share an interest in this symbiotic relationship and the fellows will serve to implement, document, and aid in the publication of this research. Throughout the process, fellows will be exposed to master stone-cutters and learn about the process of cutting stone while simultaneously translating that knowledge into digital craft, thus sharing this knowledge with Quarra Stone. While the research is serious, the people at Quarra Stone are incredible hosts, and plenty of fun is had. This fellowship is eligible to current students and recent graduates of MIT and the University of Michigan, as well as previous Quarra Stone interns. Applicants at any level of their education will be considered. If you have any questions about your eligibility, please contact us. The fellowship begins June 1, 2018 and concludes August 31, 2018. Each fellow will receive a stipend of $10,000. Throughout the 10-week period, 80% of the stipend will be distributed via payroll with the final 20% delivered upon submission of the research documentation. This stipend does not include travel or lodging. Candidates must submit application material VIA E-MAIL AS ONE PDF ATTACHMENT. Application Deadline: 5:00pm EST on February 12, 2018. 100 word biography explaining which program the applicant is enrolled in and at what stage, as well as any notes about prior fabrication, computation, and research experience. 250 word statement of interest – Because the nature of this fellowship is collaborative, both between the fellows as well as the industry/academy relationship, we are looking for statements of research interest in order to gauge your direction and possible pairings of fellows. We do not hold these statements as design proposals, but rather insights into research interests. Applications will be reviewed mid-February with follow-up interviews soon after. 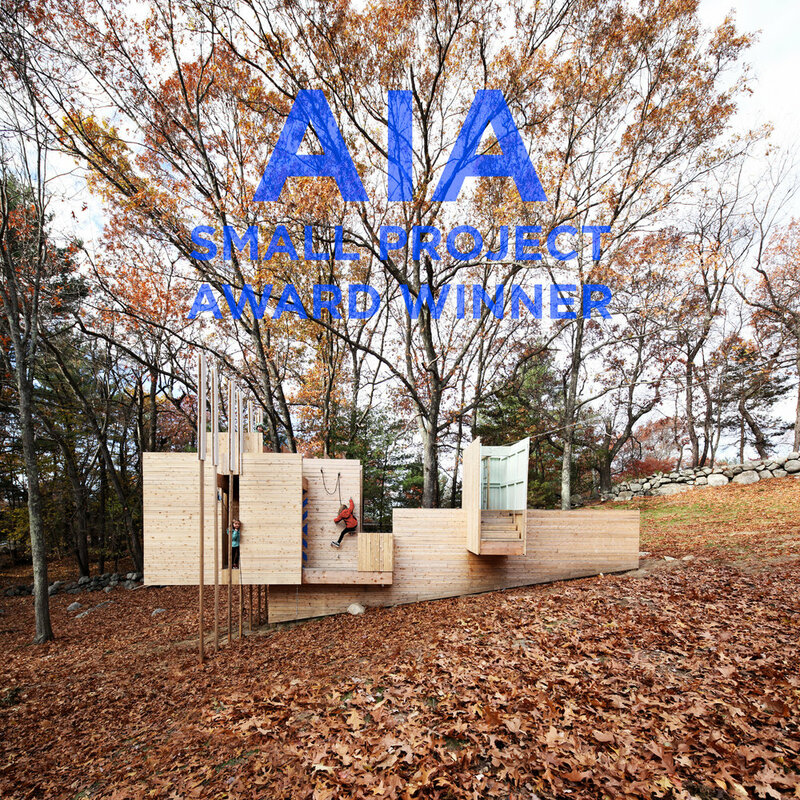 Five Fields Play Structure wins the Honor Award at the 2017 BSA (Boston Society of Architects) Small Firms / Small Projects Design Awards! 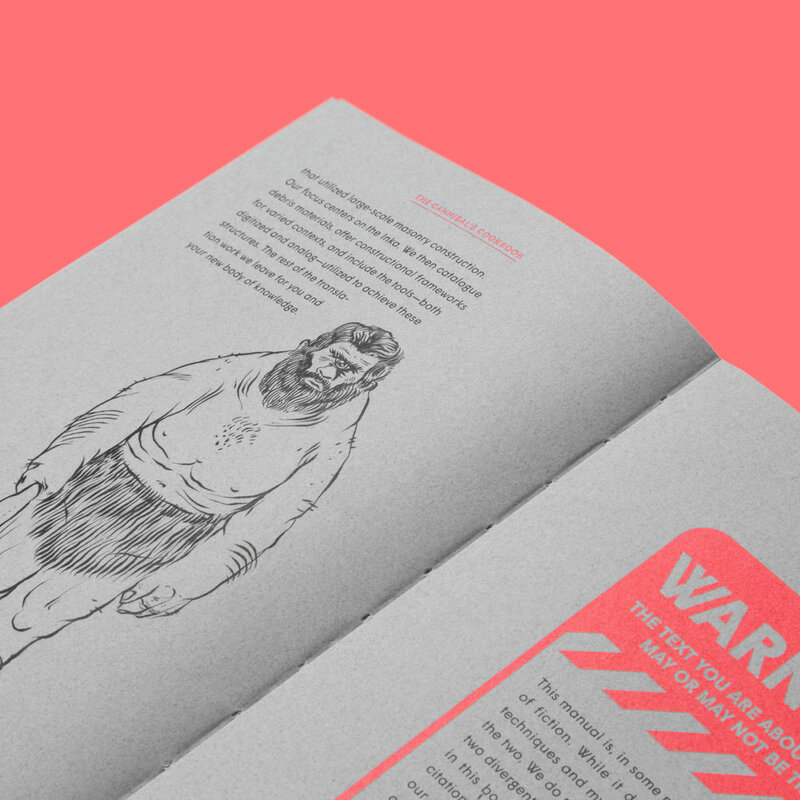 The Cannibal's Cookbook: Mining Myths of Cyclopean Constructions. Wes McGee wins the 2017 ACADIA (Association for Computer Aided Design in Architecture) Innovative Research Award of Excellence. As an award recipient, McGee will also give a lecture at this year’s ACADIA Conference, “Disciplines & Disruption” which will be hosted by MIT on November 2 - 4, 2017. McGee was chosen for his work in innovative research and teaching which focuses on developing new connections between design, engineering, materials, and processes as they relate to the built environment through the creation of customized software and fabrication tools. A test spin of the 'Stacked Stone' project (formally Stone Brass Glass) with Quarra Stone.